PA474 is one of only two Lancasters remaining in air worthy condition out of the 7377 that were built - the other being in Canada. She was built in Chester in mid 1945 and was earmarked for the "Tiger Force" in the Far East. However, the war with Japan ended before she could take part in any hostilities. She was therefore assigned to Photographic Reconnaissance duties with 82 Squadron in East and South Africa. 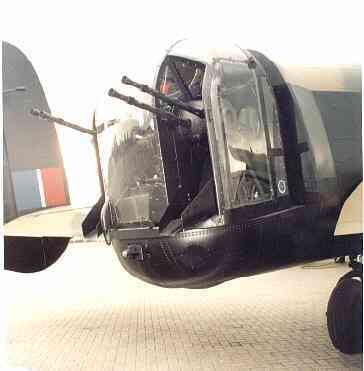 While operating with 82 Squadron, PA474 had her turrets removed and carried the identification letter "M". On return to the United Kingdom, PA474 was loaned to Flight Refuelling Ltd at Tarrant Rushton to be used as a pilotless drone. However, before the conversion started, the Air Ministry decided that it preferred to use a Lincoln and PA474 was transferred to the Royal College of Aeronautics where she was used for trials on the Handley Page Laminar Flow wing. In 1964 she was adopted by the Air Historical Branch (AHB) for display in the proposed RAF Museum and was flown to Wroughton where she was repainted in a camouflage paint scheme, though without squadron markings. During this period PA 474 also took part in 2 films, "Operation Crossbow" and "The Guns of Naverone". Later in 1964 she was moved to RAF Henlow in preparation for display at the RAF Museum Hendon. The first unit to be equipped with Lancaster was 44 Squadron and in 1965 the CO of this Squadron, which was now flying Vulcans from RAF Waddington, sought permission from the AHB for PA 474 to be transferred to the care of the Squadron. An inspection found that the aircraft was structurally sound and permission was granted for PA 474 to make a one way flight from Henlow to Waddington. 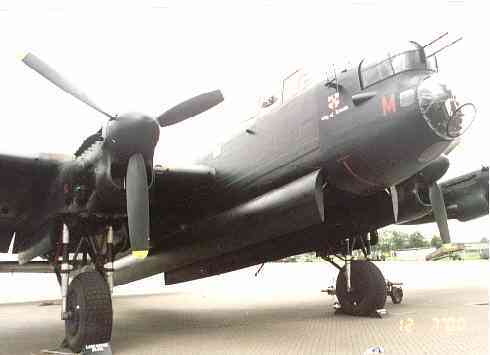 At Waddington PA 474 was given the markings "KM B" commemorating John Nettleton VC and the aircraft hw flew on the Augsburg raid on 17 April 1942.  A restoration programme then began which would take several years to complete. By 1966 work was progressing well and both the front and rear gun turrets were in place. permission to fly PA 474 regularly was granted in 1967 and she joined the BBMF in November 1973. Restoration work continued even after she joined the Flight. A mid-upper turret was discovered in Argentina and was brought to Britain aboard HMS HAMPSHIRE and fitted to PA 474 in 1975 - the same year that the aircraft was adopted by the City of Lincoln. During the winter of 95/96 PA 474 received a brand new main spar which will extend her life well into this millennium. The two highlights of the 1995 season were the flypasts along the Mall to celebrate VE day in May and VJ day in August when the Lancaster dropped one million poppies over the assembled veterans. 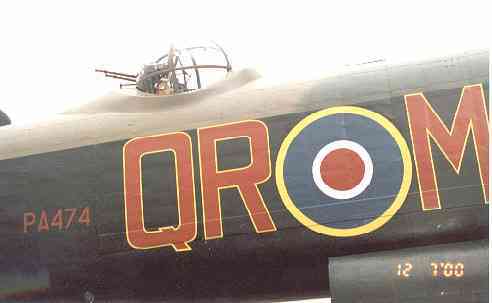 PA 474 will be seen wearing the markings of W4964, "WS J", Johnnie Walker an aircraft of IX Squadron. This aircraft took part in the first attack on the Tirpitz from Russia and flew over on hundred operational sorties..